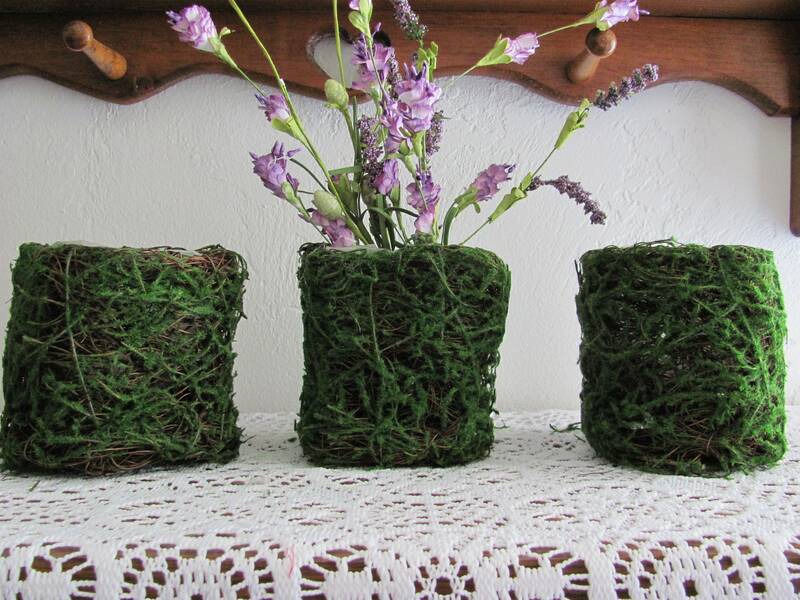 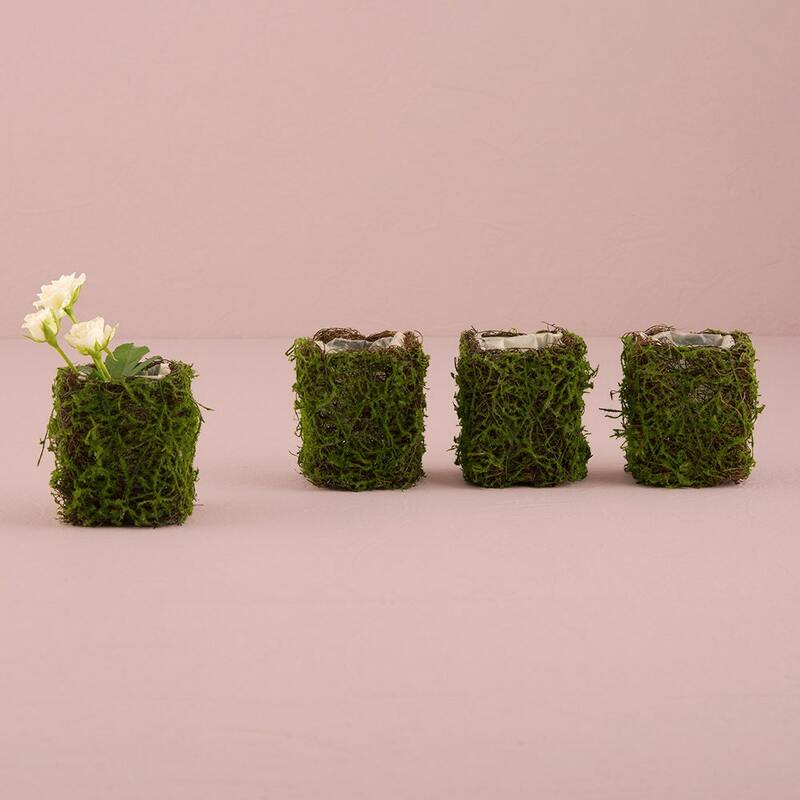 Mini moss flower planter favor holders. 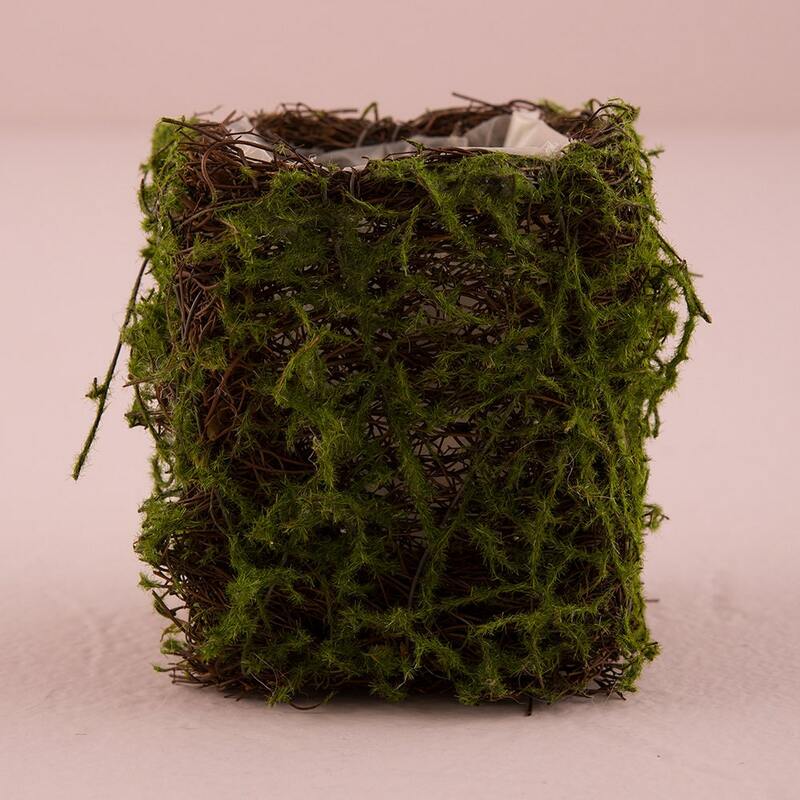 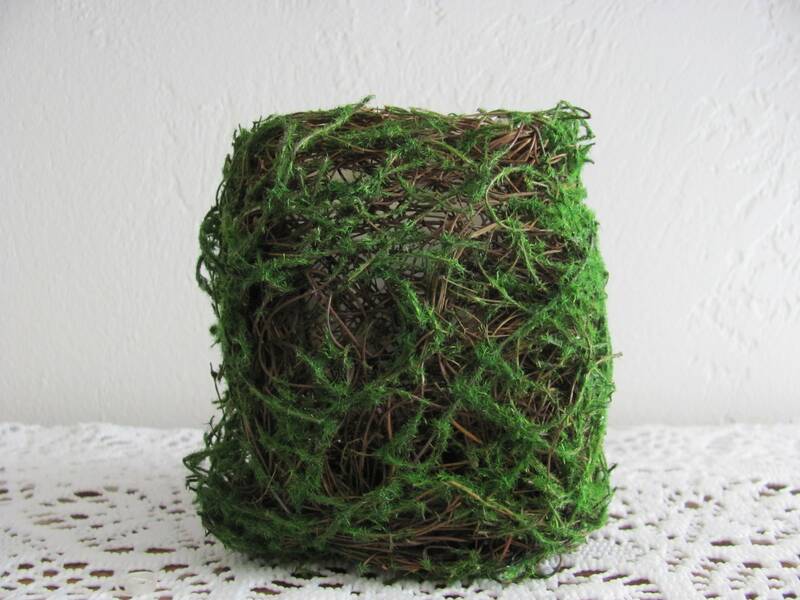 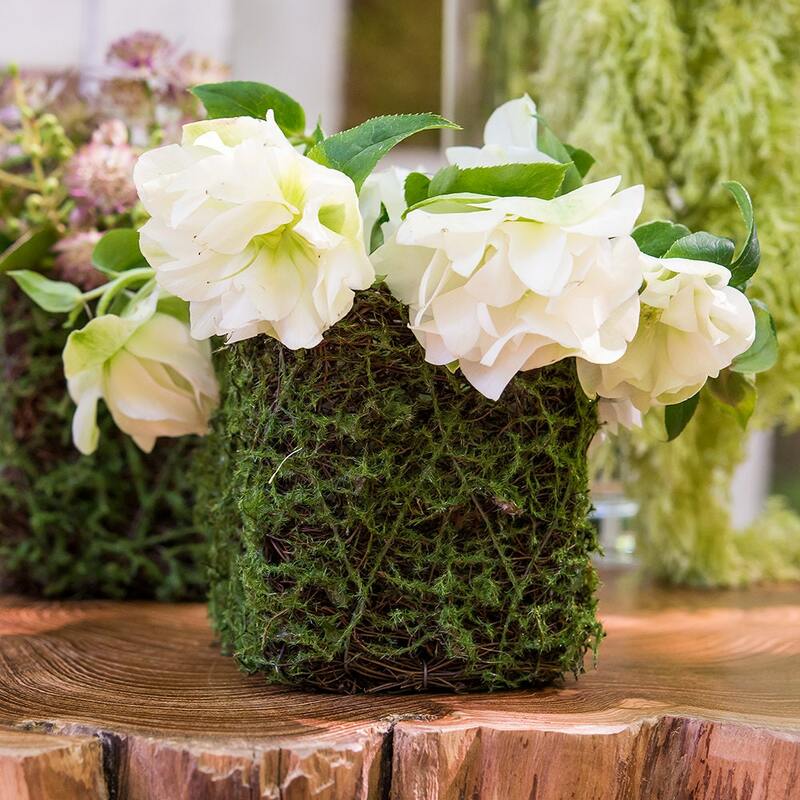 DIY faux moss and wicker mini favor planter vase with liner that you can add your own plants or flowers to and create a unique weddings, bridal shower, baby shower, holiday party or luncheon party favor. 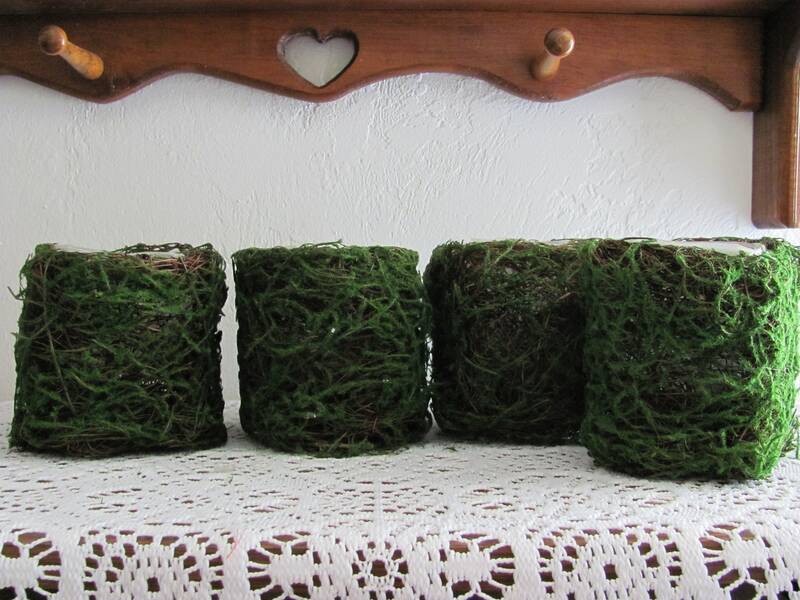 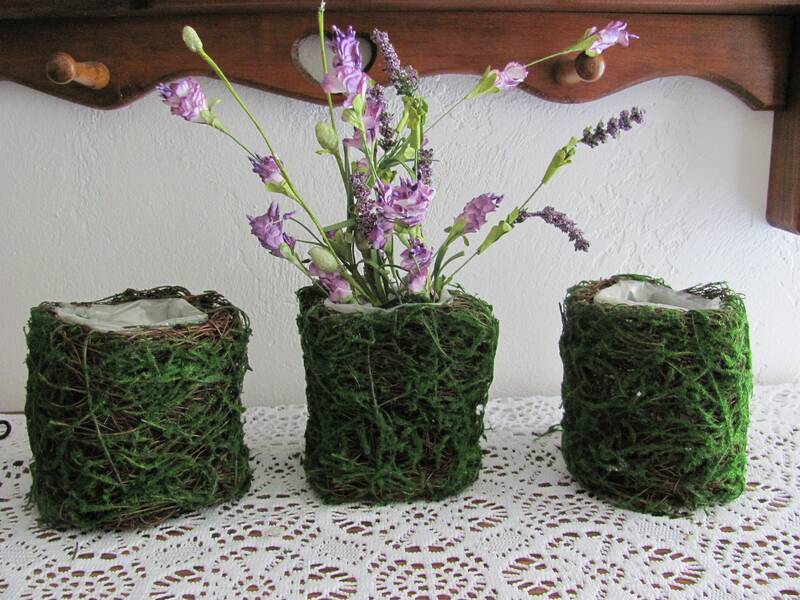 This item is sold in packages of 4 empty faux moss mini favor planters. 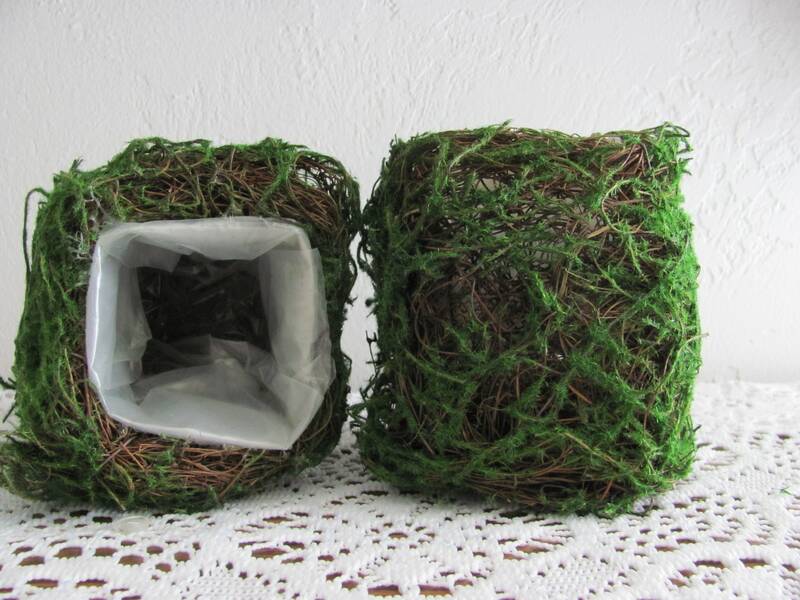 Other items shown are for ideas and display only and are not included with your purchase of the empty faux moss mini flower planters. 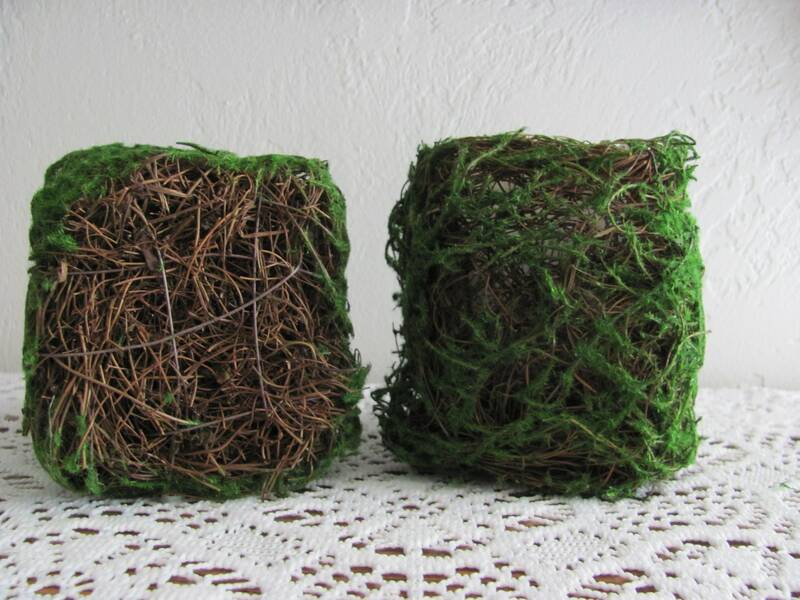 So natural looking - love them!